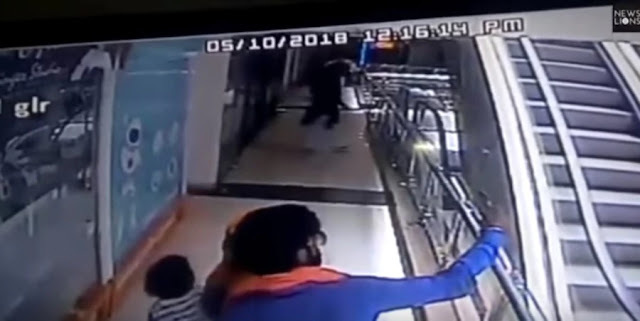 A tragic death of a toddler held by her mother came after a father pick a selfie along the escalator but the mother lost its grip to the toddler and falls off to death. This "Death by Selfie" went viral to social media after it was captured by a CCTV camera and leak along in the social media outlets worldwide. The incident happened on May 10 at the CGR mall in Ganganagar, Rajasthan, India. The shocking view captured the innocent death of a child who plunges from out of three floors.